Instagram inception, here we come. 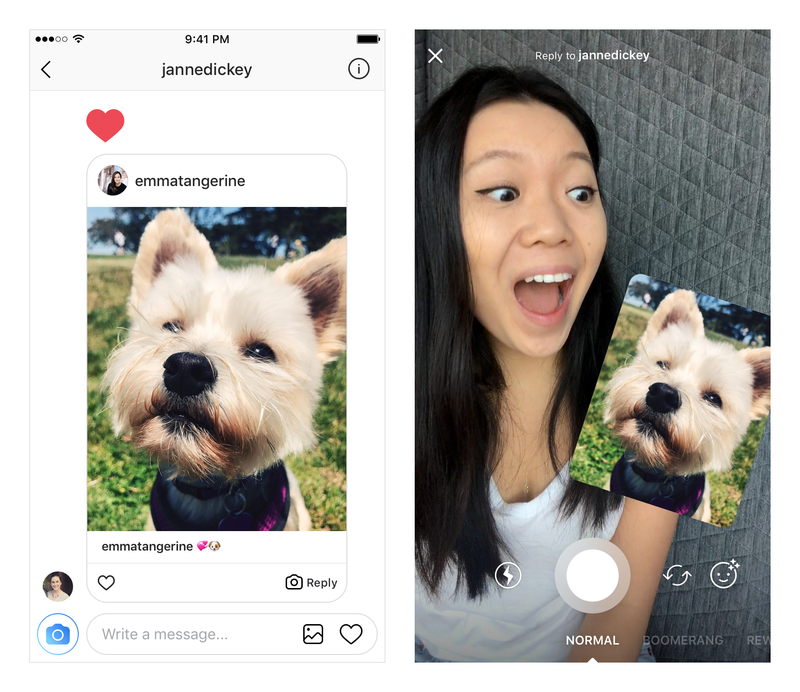 If somebody sends you a photo or video in a private conversation on Instagram, the app will now let you play around with the original photo so that you can reply in a creative way and keep the context of the conversation. But you can also move it around, tilt it and draw around it. If you’re replying to a video, it looks like Instagram only keeps a screenshot of the first frame. If you tap on it, the original photo fills the top half of the screen. You can then take a selfie for the bottom half of the photo. It reminds me of Frontback, a photo-sharing app that lets you take a photo of what you have in front of you, and a photo of your reaction with a selfie. Instagram works the same way as it features both the context and your reaction. The comparison stops there as you can still apply filters, draw on your photo, add stickers, write text and use all those creative tools together. Your reaction doesn’t have to be a photo either. You can record a video, a boomerang, use a selfie filter and more. More importantly, this new reply mode isn’t limited to direct messages. If you’re watching a story, you can either send a text reply by tapping on the text field at the bottom of the screen, or you can send a photo/video reply by tapping on the camera icon at the bottom left of the screen. And that makes a lot of sense as you want to know the context when somebody is replying to part of your story.